At FlightPath Labs, we strive to take on all the heavy lifting for you! 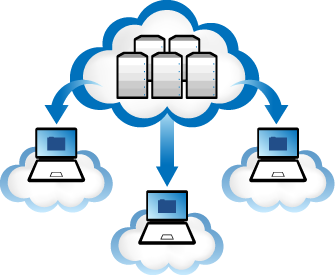 We begin by hosting your installation on a safe, modern, cutting edge cloud-based server, custom configured for your school's needs. With FlightPath Labs, there is no need for extra IT staff to handle the maintenance of hardware upgrades and no need for costly hardware contracts for failed equipment. The servers proudly feature 99.9% uptime, plus daily backups. And with robust security, you can rest assured they are FERPA-compliant! See what our technology can offer you! While the open source community version of FlightPath typically requires dedicated staff to install and maintain (including an investment in hosting infrastructure), FlightPath Labs provides all the consulting services and expertise needed to enable your school to shape and customize your advising environment to fit your needs and curriculum. As a trusted FlightPath partner, FlightPath Labs is hosted in the cloud, so you receive the latest innovations and updates, as well as the ease of growth your school may require. Need a little extra help? No problem! FlightPath Labs is happy to offer both free and paid support and training, to make sure you get the most out of FlightPath. In addition to a wealth of freely available tutorials online, you can also count on us walk you through any rough patches you may encounter. It's our goal to make sure you are as thrilled to have FlighPath Labs a part of your school as we are to have you as our client!